Public transit is a valuable community resource that can be intimidating for those unfamiliar with the system. For passengers who are capable of utilizing fixed route bus or rail systems but may require some assistance before doing so, MTM’s On the Move travel trainers provide comprehensive instruction in real-life transit scenarios to familiarize the passenger with local transportation options. Our expert travel trainers are your partners in removing community barriers by helping passengers travel independently, safely, and confidently. The benefits of travel training are two-fold. For the individual receiving training, increased confidence and self-reliance are immediate results of learning to travel independently. These skills improve the passenger’s quality of life by encouraging community integration, participation in recreational and employment opportunities, and overall independence. Travel training also benefits the clients and communities we work with by reducing program expenses and paratransit utilization while increasing the use of cost-effective public transit systems. In MTM’s WMATA travel training operations in Washington, DC, for each round trip a trainee takes on the bus or train instead of paratransit, WMATA saves approximately $96, resulting in an estimated annual savings of nearly $1 million. On the Move offers a family of travel training services customized to meet the needs of our clients and help their passengers gain new skills and overcome fears. No matter the type of training provided, travel training is always conducted by our skilled On the Move travel training staff, who strive to ensure passengers have the capabilities and confidence to use fixed route public transit to the fullest extent possible. Our travel training processes utilize the standards and methodologies of expert organizations such as the National Transit Institute (NTI), the Association of Travel Instruction (ATI), and Easter Seals Project ACTION (ESPA). For passengers who need individualized attention, On the Move travel trainers conduct comprehensive one-on-one instruction to specific destinations. This is the most customizable training option and is conducted in the actual public transit environment—on the street, at transit stops, in vehicles, and at the actual times the passenger will travel. Travel trainers use tools such as photo flip books, trip plans, and worksheets to create a truly customized program. Following completion, our trainers shadow the passenger and follow up with them at regular intervals to track their progress. 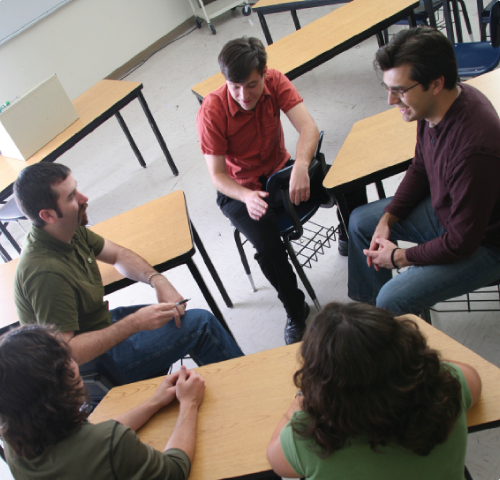 Classroom and small group training offers a less intensive approach than one-on-one training by providing general route demonstrations and familiarization. During these sessions, travel trainers facilitate outings to community locations for a real world experience. In some cases, trainers may utilize out-of-service vehicles from the local transit system so passengers can explore a vehicle without the pressure of being on an in-service route. This method is recommended for passengers who are familiar with the community but need a refresher on public transit use, as well as groups of friends who could support each other in the future. MTM’s train the trainer program focuses on ensuring travel training sustainability for our clients. 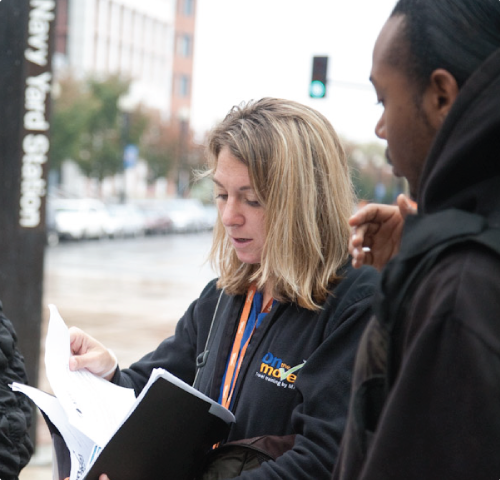 Through this training, we provide classroom instruction to individuals who currently provide travel training services on behalf of a transit agency, or individuals who will train passengers in the future. It is also suited for familiarizing clinicians with public transit, allowing them to serve as a resource for the populations they serve. Based on curriculum set forth by ESPA, topics include accessibility, trip planning, task analysis, and using training tools. After completion, MTM continues to support these independent trainers as needed.